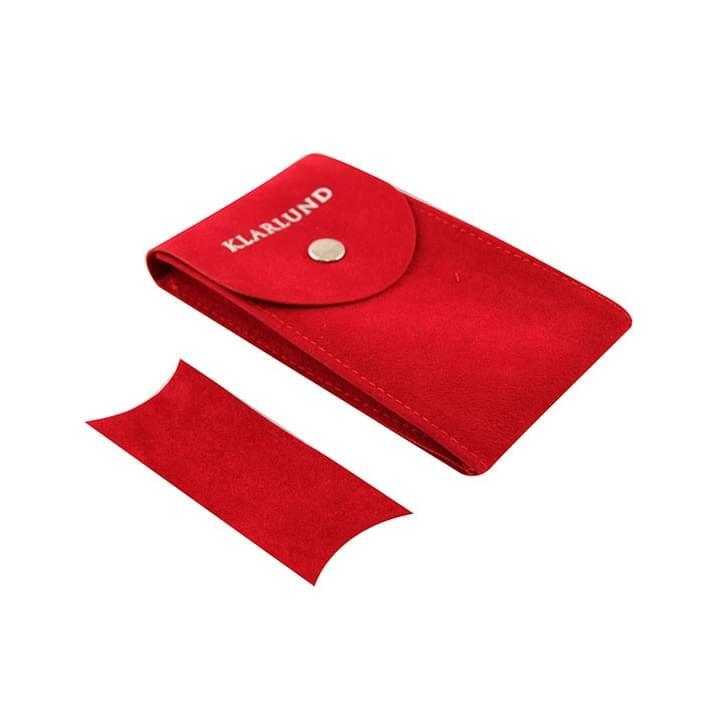 Watch is a pouch for watches with button closure or without, available in different sizes, colors and materials, with an optional internal divider to protect the content. 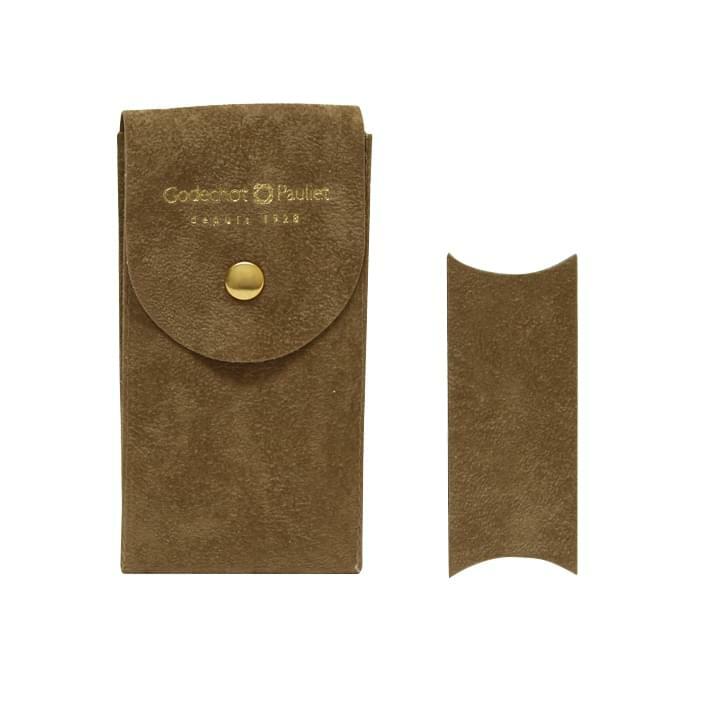 Watch cases are characterized by the soft materials, the simple and rectangular shapes that guarantee a classic elegance, timeless, ideal in every context. 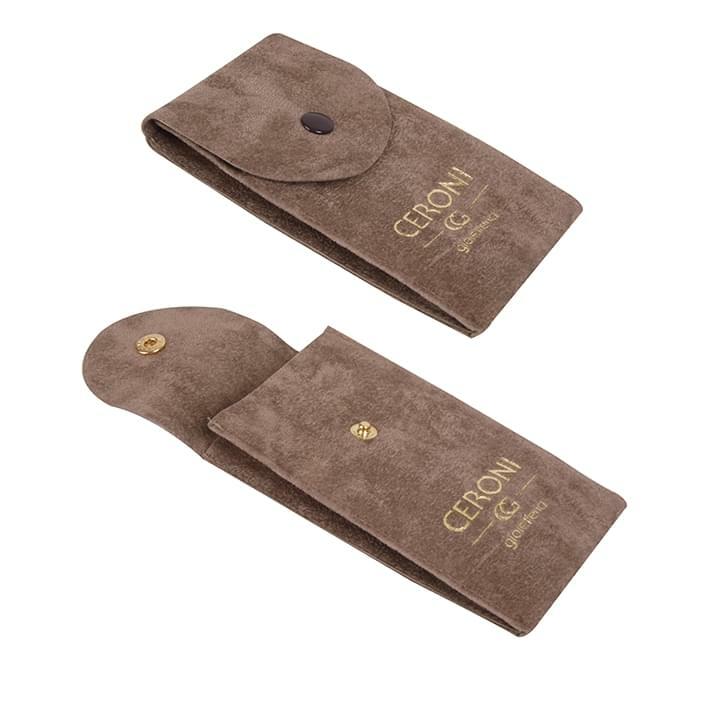 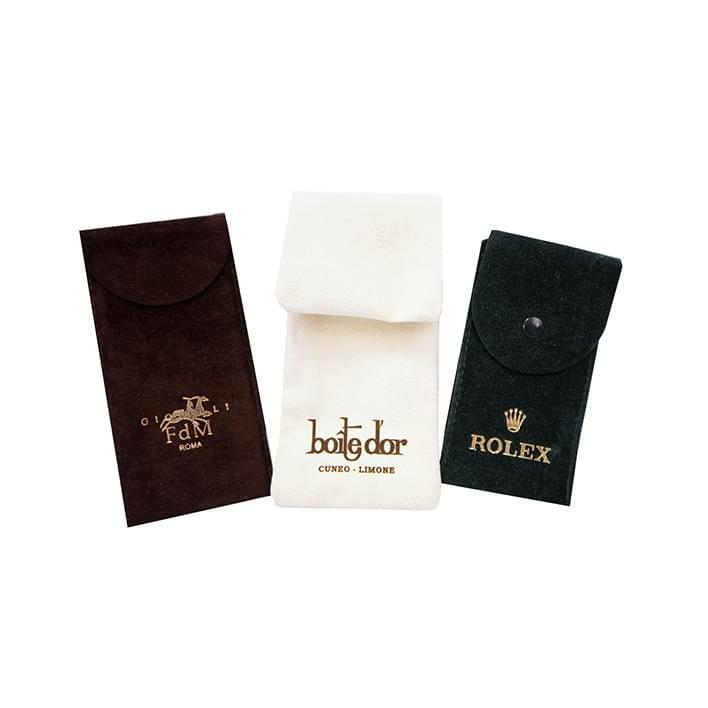 Elegance rhymes discretion, and this pouch for watches is no exception. 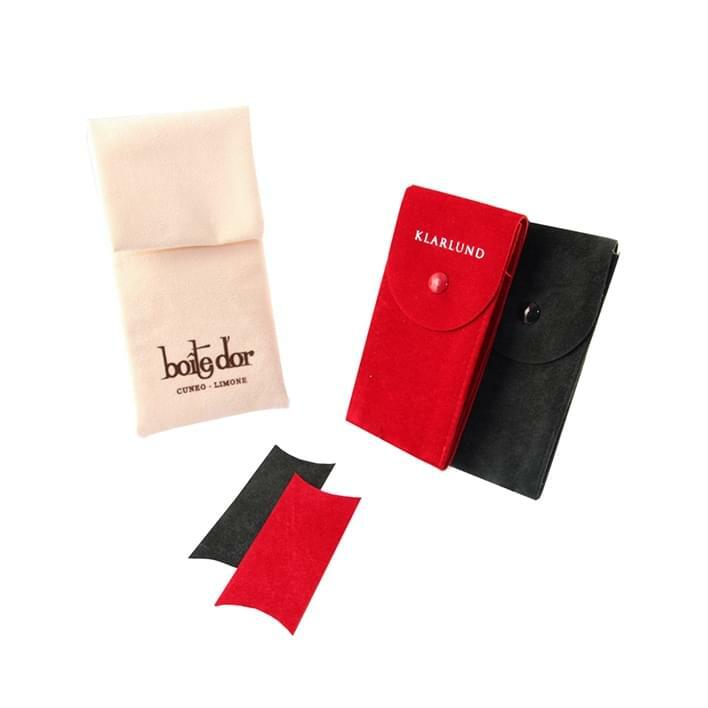 The Pochette can be personalized with the logo of your brand and with different colors, ideal to give that touch of charm to the product.